Here at Make it easy crafts we know how hectic life can be. Everyone needs a quick but easy recipe for those busy weeknights. And who doesn’t want a special recipe or two up your sleeve for weekend fun and entertaining? So we are starting a flash mob of recipes every week brought to you from around the web. Our first recipe is healthy and pretty darn easy. 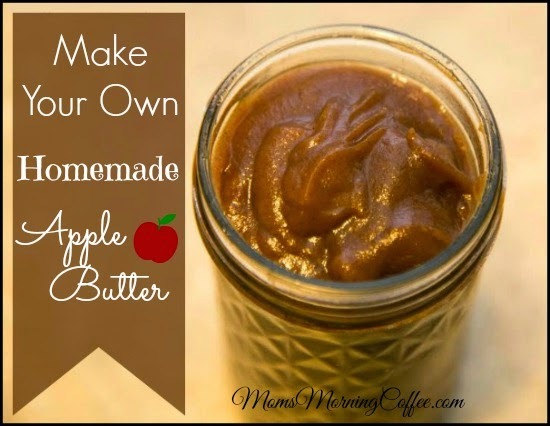 If you have a crockpot you can make apple butter. Yes I did say apple butter. Growing up in the south I remember going to fairs and events in the fall and usually there was a huge copper kettle outside under a fire filled with the ingredients for apple butter. People took turns stirring with a large wooden paddle. The aroma was intoxicating and of you just had to come home with a jar or two. Yum it was good, but boy was it time consuming! Trista Porter from Mom's morning coffee came up with a way to make it in an ordinary crockpot. It still takes time but it’s time well spent with no paddle necessary! As an added benefit it is low in sugar. Visit Candy at Mom's morning coffee and get Trista's wonderful recipe for Home made apple butter today. And Come back soon for more quick and easy recipes from all the best food bloggers around!